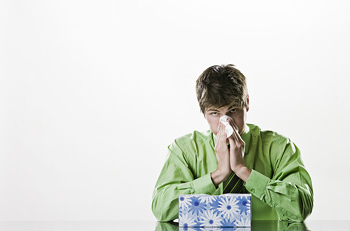 Zestos: Enabling life through communication of research: Busting the cold and flu myths - busted ! Myth 7: Vitamins can help to kick a cold. Verdict: Many people swear by vitamin C or echinacea as a preventive measure. However, Dr Hampson says there's no conclusive evidence that taking vitamins will prevent colds or substantially reduce their duration. O some many things wrong. Number one is that echinacea is NOT a vitamin. Dooh. It is a herb. And there is plenty of evidence that if you use the right part of the herb, with the right bioactive, with the right dose that echinacea helps you overcome a cold. However you need a high quality product so goto a herbal shop (or an Amway distributor who selle Nutriway/Nutrlilite). Anything you purchase at a supermarket or chemist is unlikely to have the high levels of the active ingredients. I do take note that they don't even talk about echinacea in the discussion point! Vitamin C. The bad news is once you get a cold vitamin C doesn't help you. However if you are taking grams of it before you "catch" the cold it speeds your recover time. So no you can't take vitamin C like medication and expect it to work. However if you have a regular high intake your length of cold time is decreased. Most of the other myths actually have evidence pointing to it being correct....... so it really is a poor article.